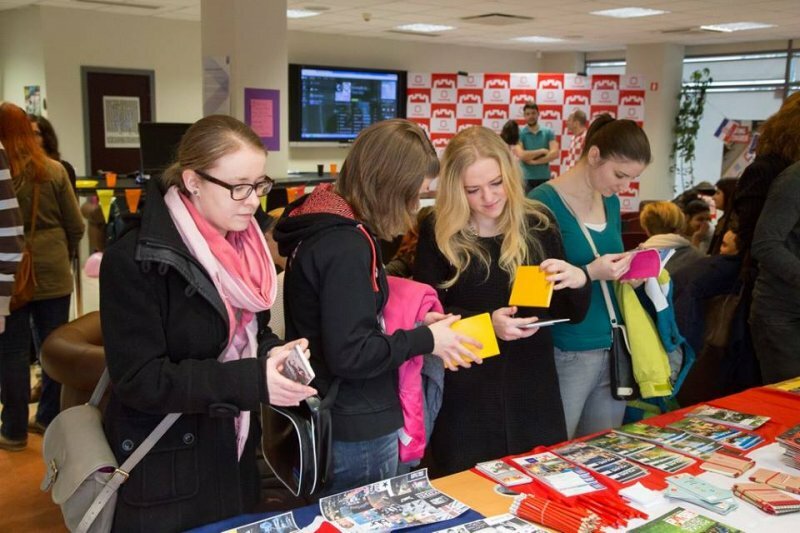 EVS volunteers from the European Foundation of Human Rights (EFHR) Aneta Maciejewska and Leah Nedahl organized two events over the course of the day and night on Saturday 12th March in Vilnius. 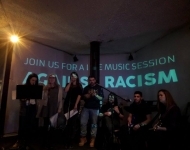 The occasion was to celebrate European Action Week Against Racism (12-21 March) – the European-wide UNITED initiative aiming to tackle racism and discrimination. 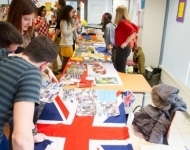 This year the campaign’s theme was ‘Strength in Diversity’. 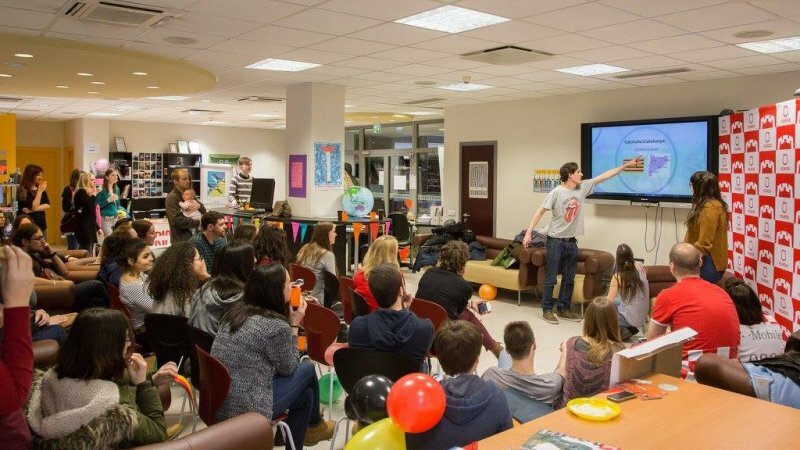 The idea of the event was to encourage diversity and to celebrate multiculturalism – and this goal was definitely achieved. 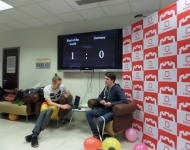 There were only two official events held in Lithuania and these were publicized on UNITED’s campaign website. 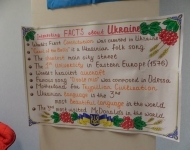 You can find information here. 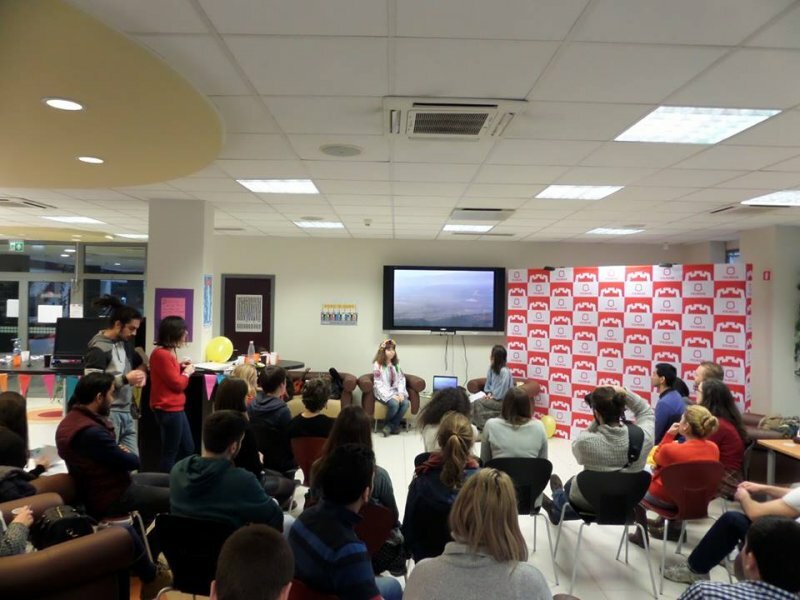 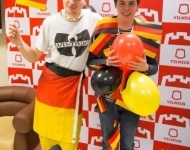 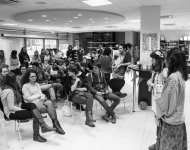 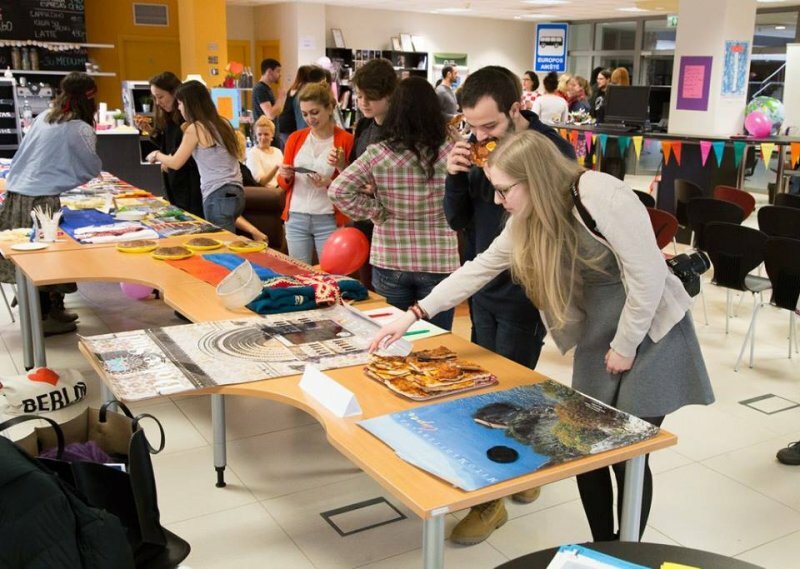 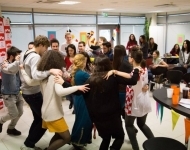 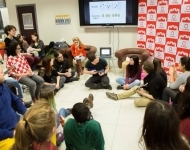 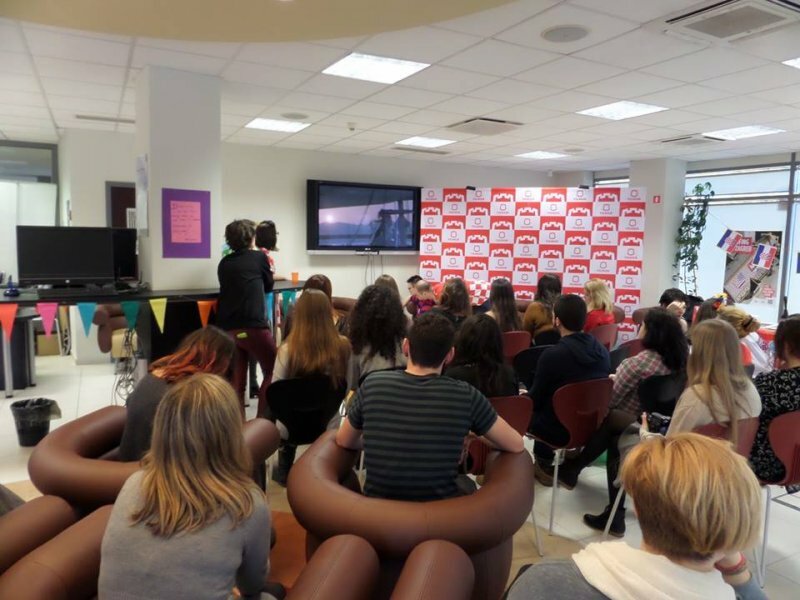 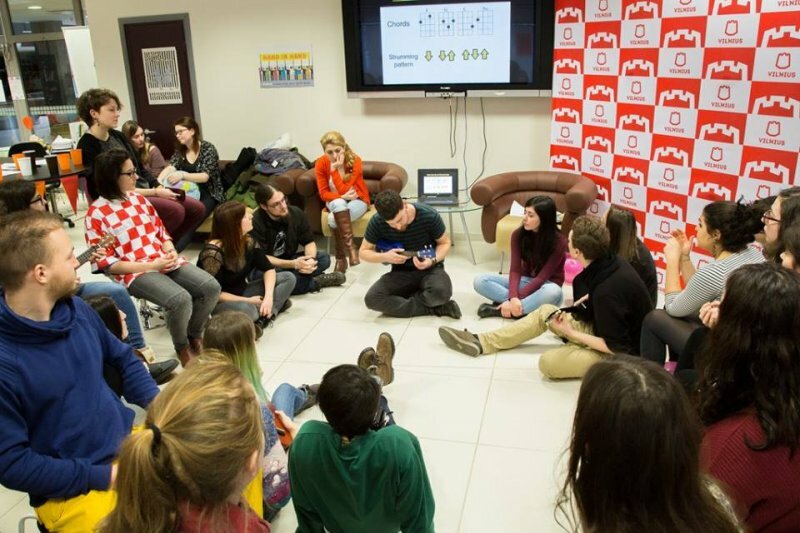 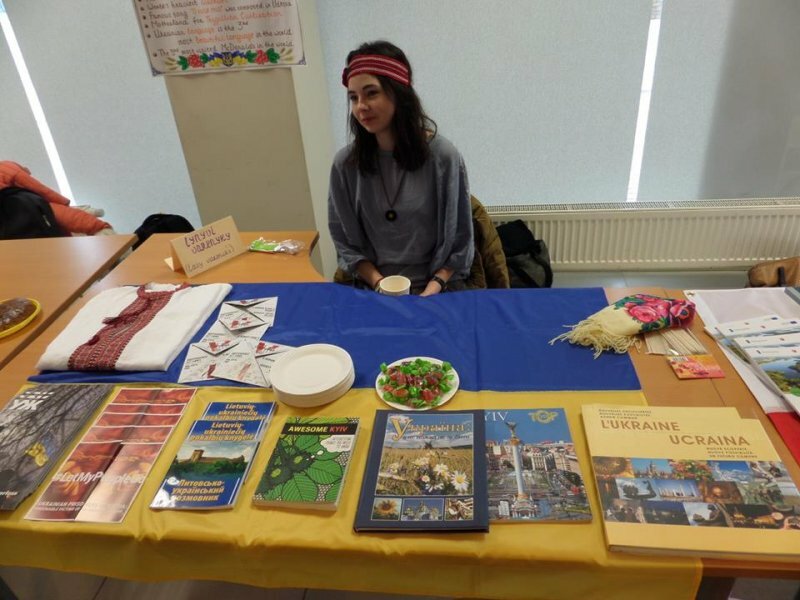 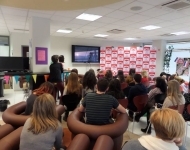 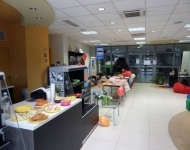 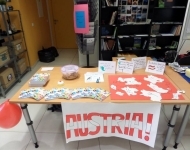 During the day event, held at Vilnius Municipality Youth Information Centre, a multicultural fair took place. 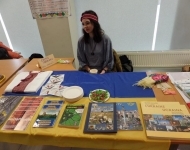 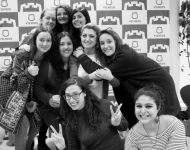 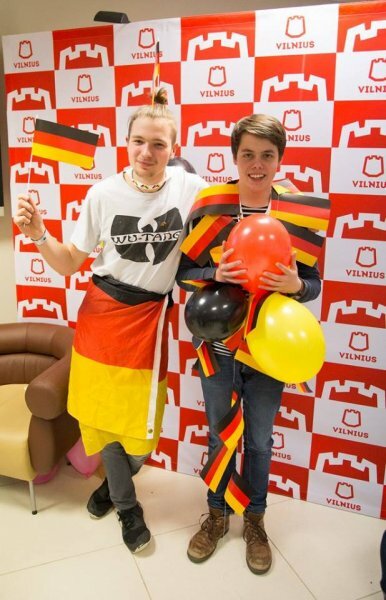 Other EVS volunteers completing projects all over Lithuania came to represent their countries at the event. 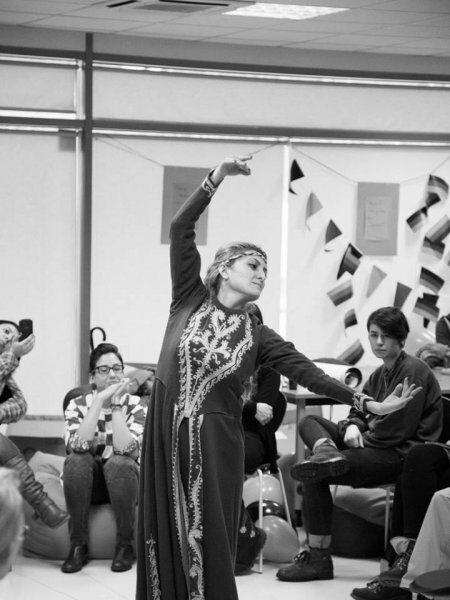 Over the course of the day some 100 people came to enjoy the positive atmosphere and sense of diversity. 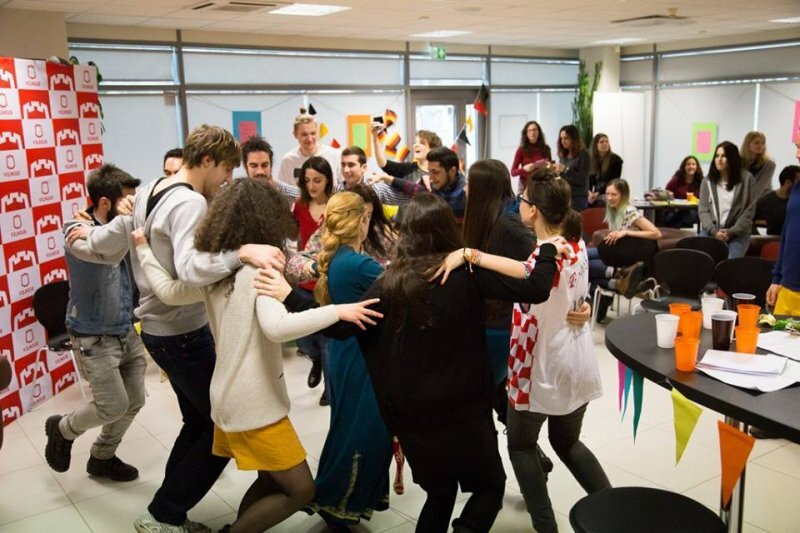 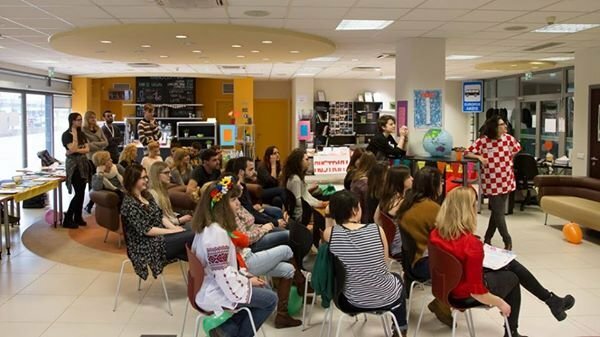 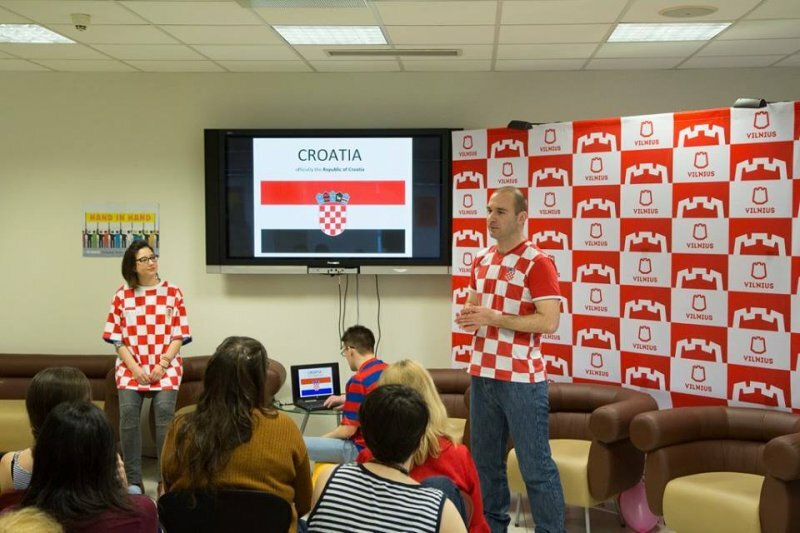 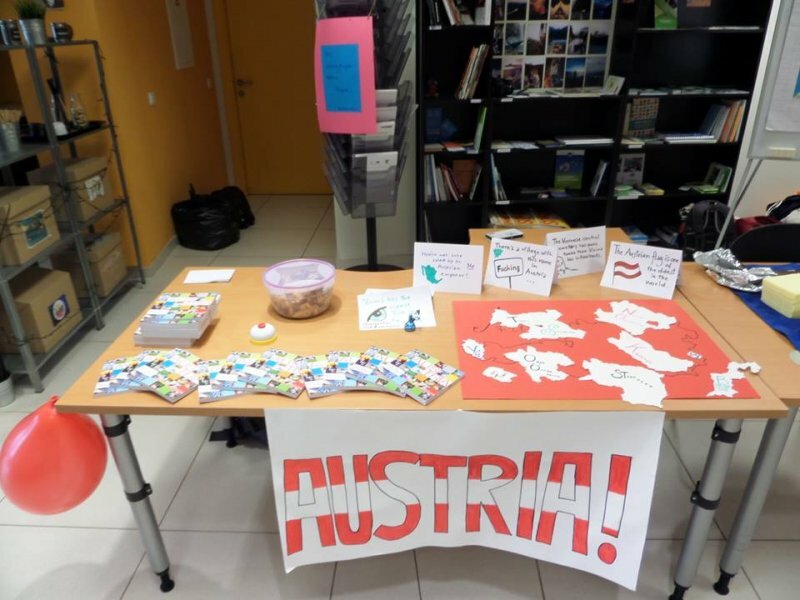 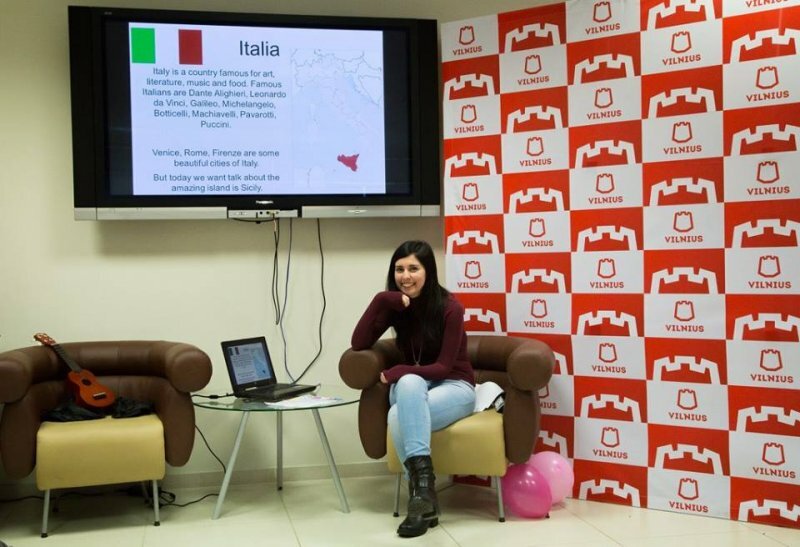 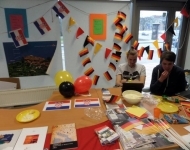 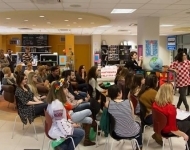 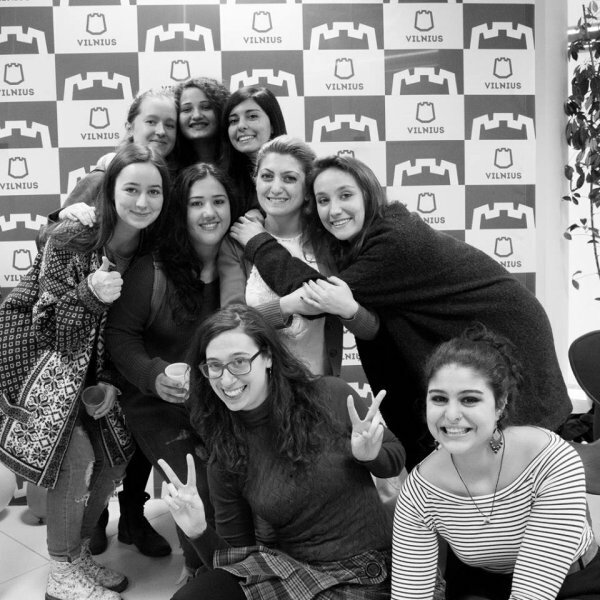 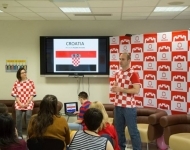 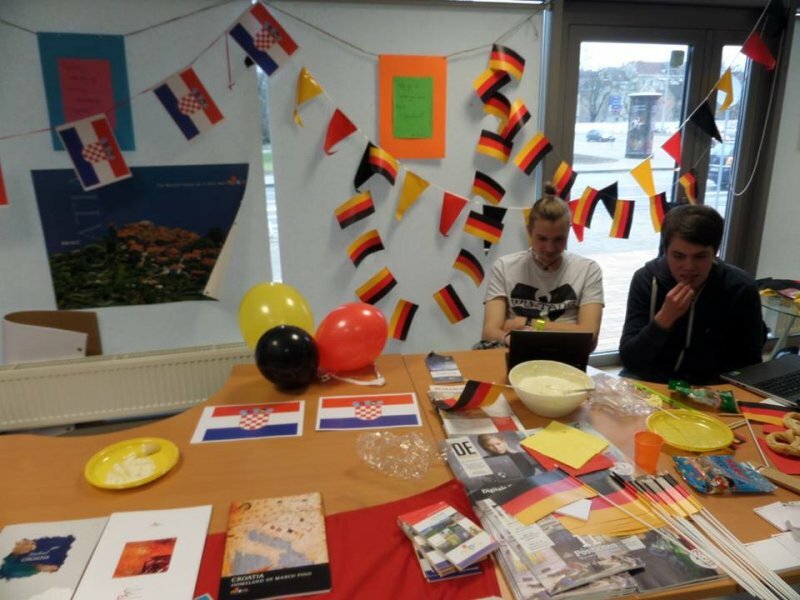 Visitors had a unique opportunity to learn about different countries and cultures – including Spain, France, Poland, Ukraine, Armenia, Germany, Croatia, Italy, Austria and the UK – with volunteers representing their countries. 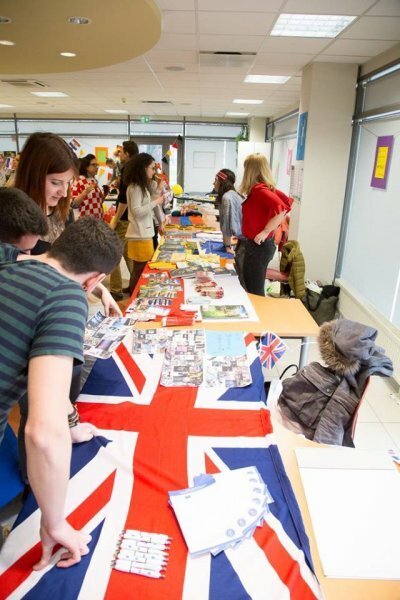 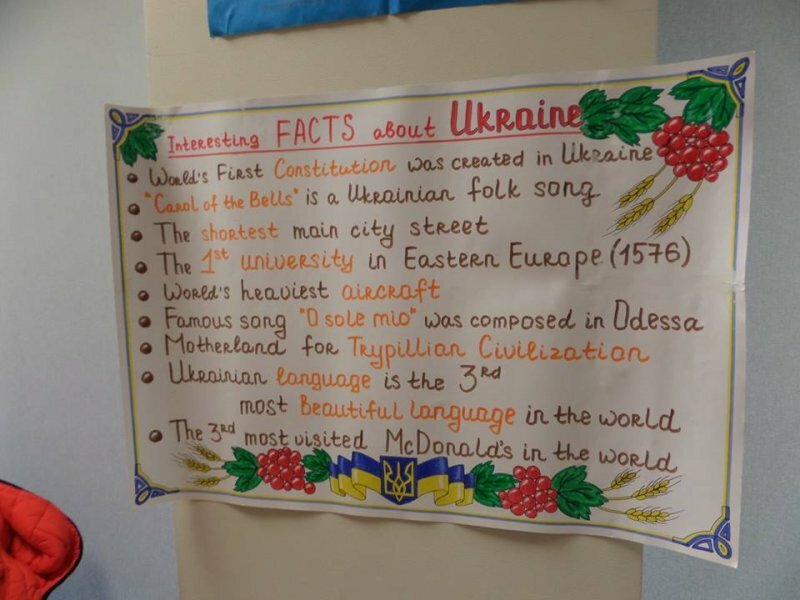 Each country shared tasty traditional food (like pizza and crepes), fun facts, posters, promotional materials and freebies. 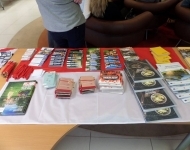 Many embassies were kind enough to contribute materials like flags and bunting for the event. 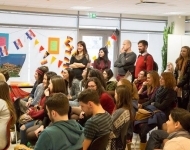 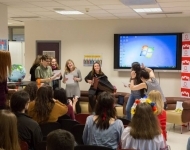 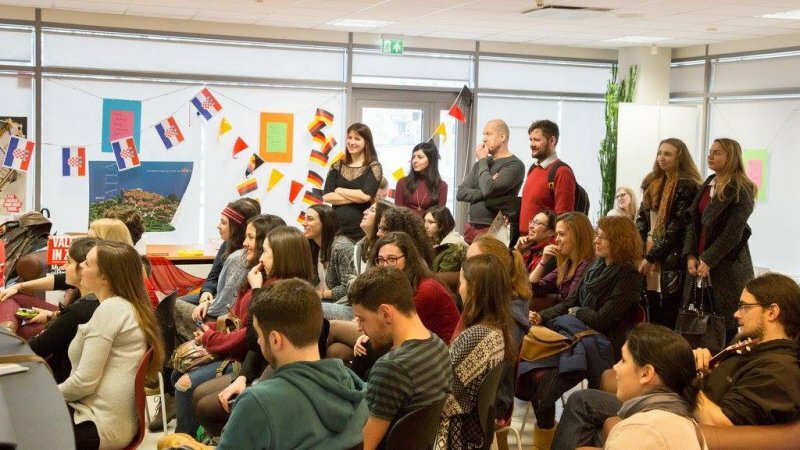 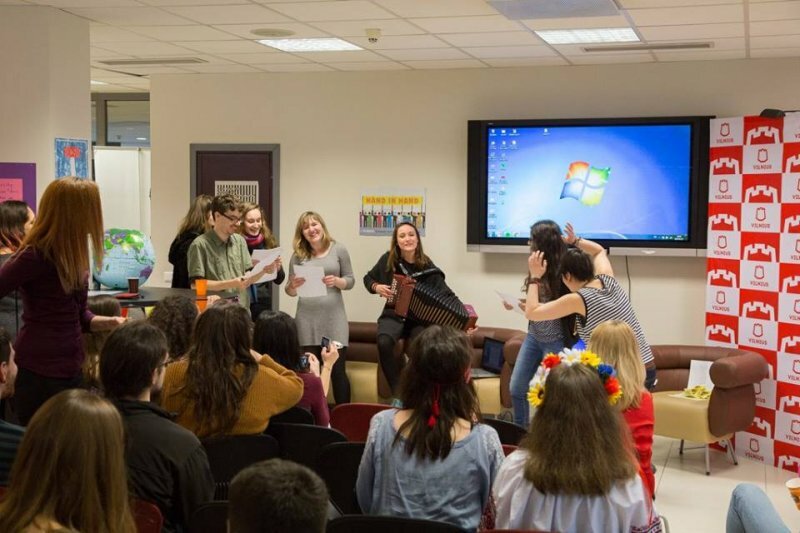 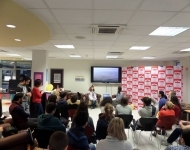 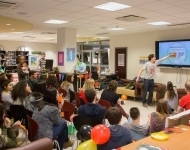 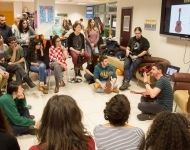 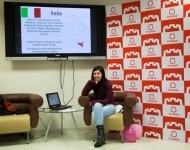 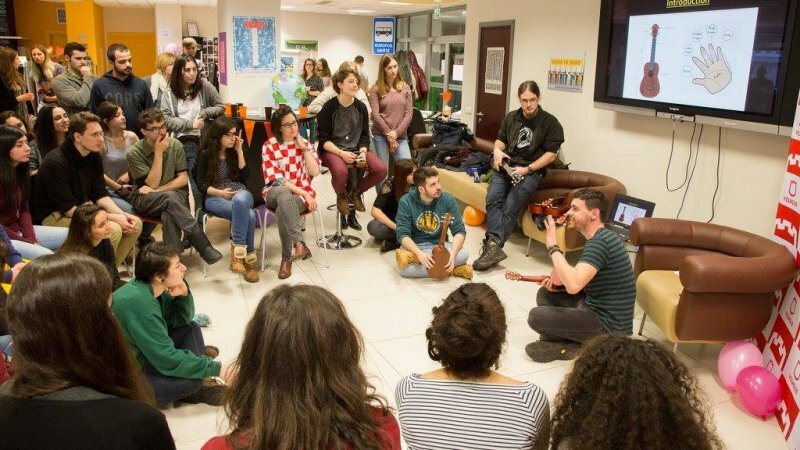 The event consisted of presentations, short films, music, workshops, dances, games, quizzes and other fun activities like a ukulele workshop, traditional Greek music and Armenian dances. 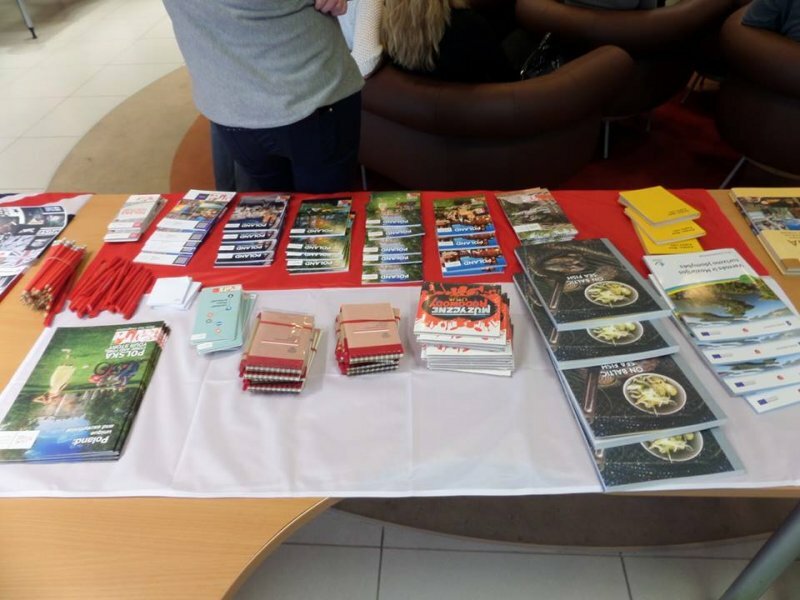 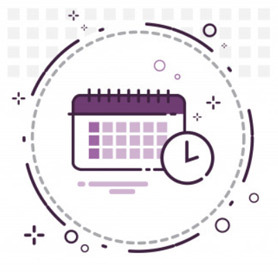 Between the scheduled programme everybody had the chance to network, meet new people, find out more about different places and to have an amazing time. 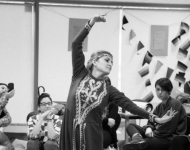 The day was filled with positive vibes and was a truly multicultural experience for all involved. 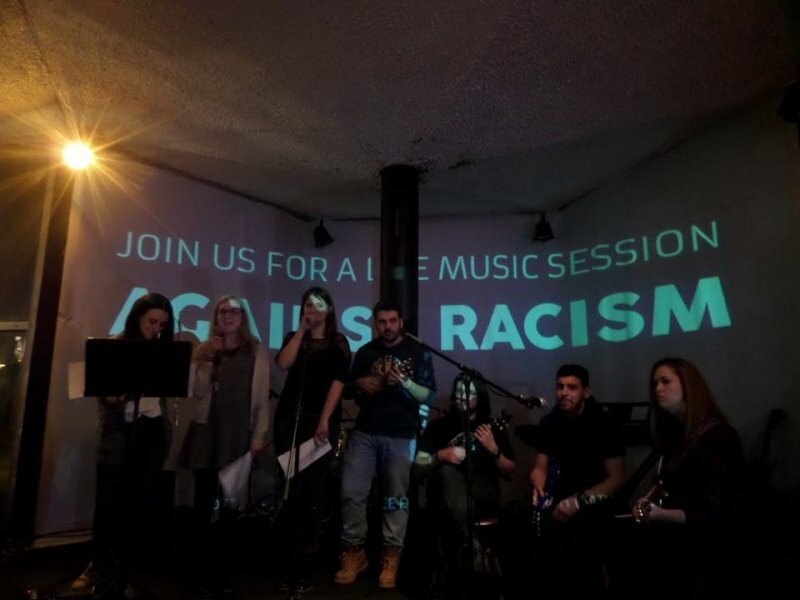 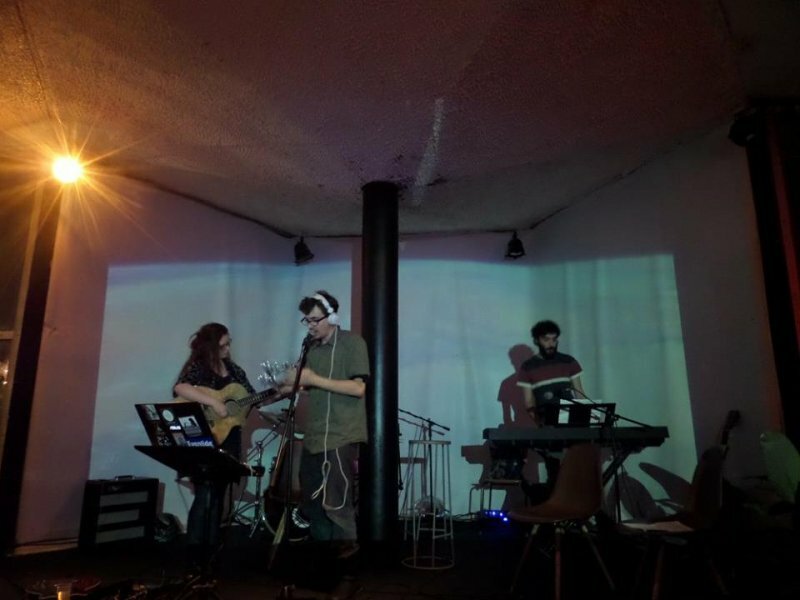 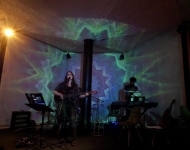 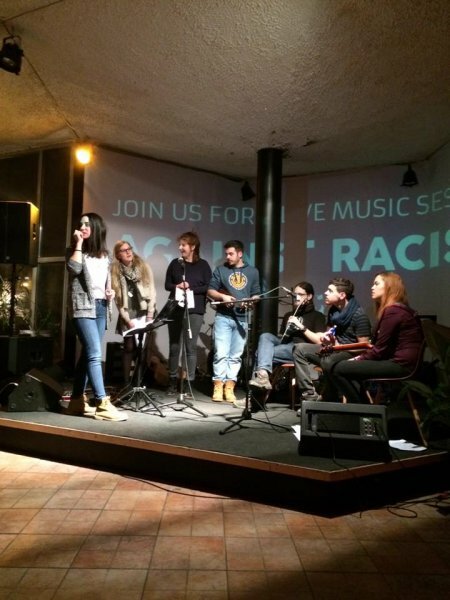 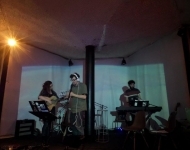 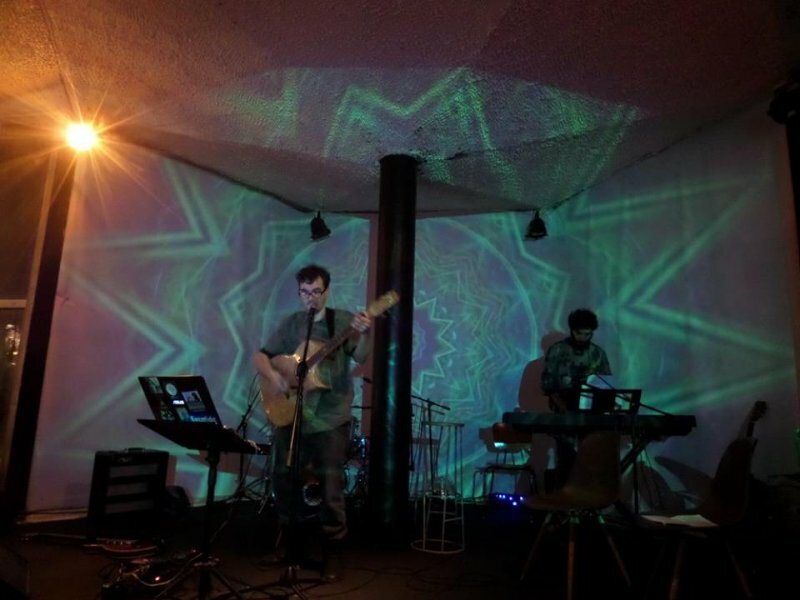 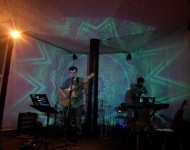 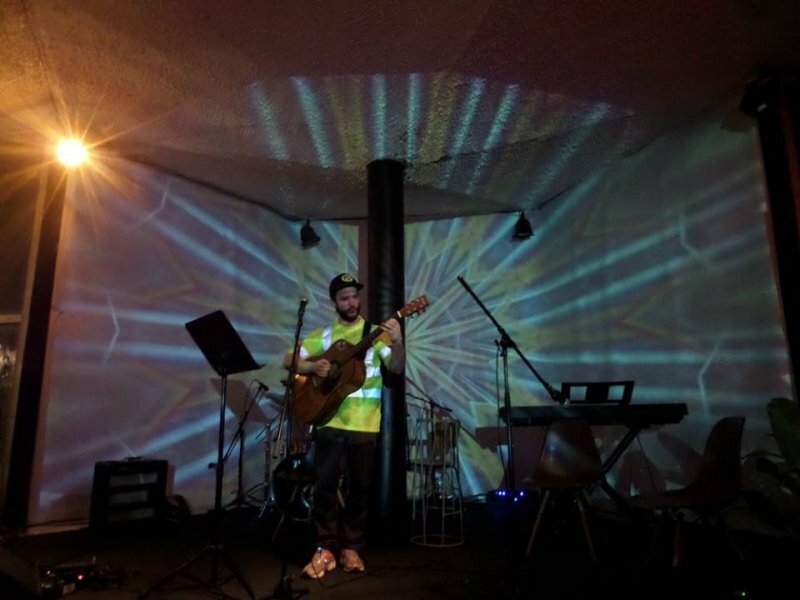 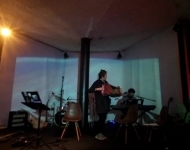 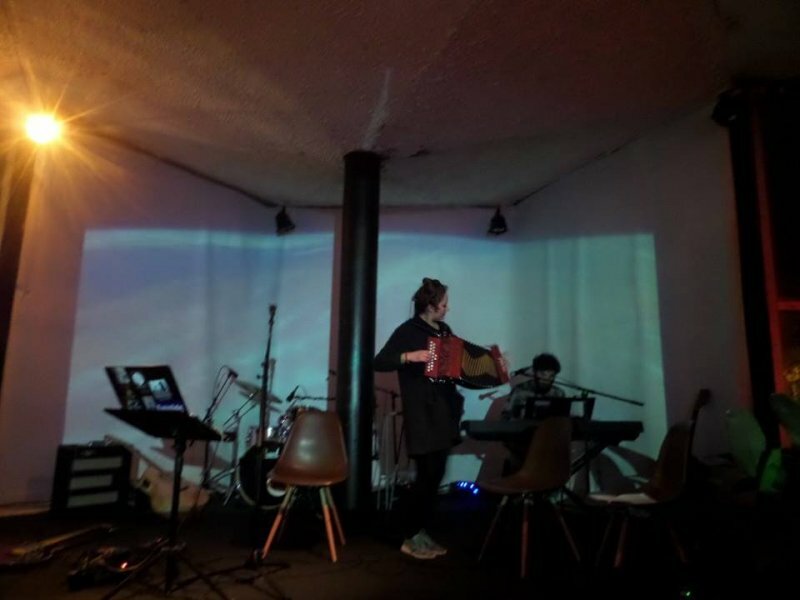 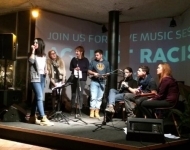 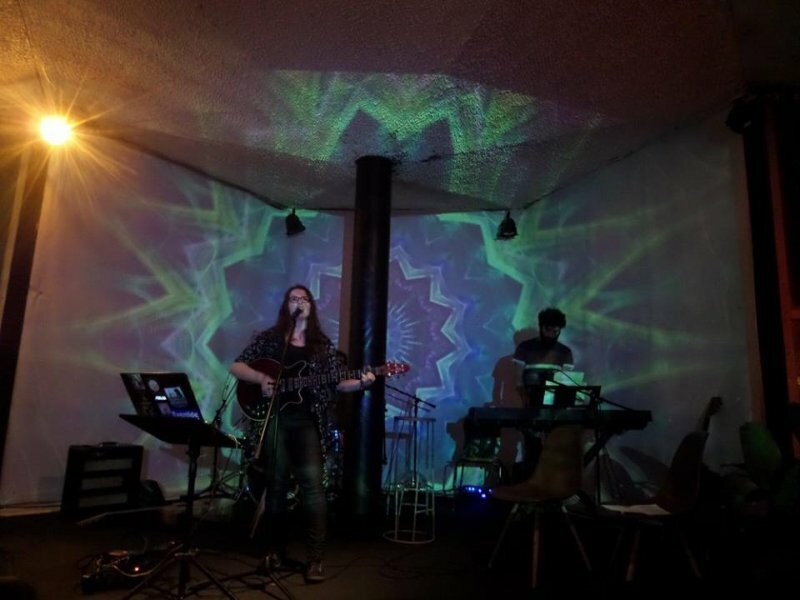 The festivities continued in the night, when everybody – EVS volunteers, students and locals – gathered together in music venue Paviljonas to enjoy the performances of fellow EVS volunteers/musicians and support them in playing music against racism. 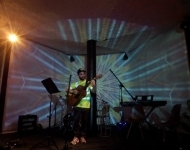 All of the musicians played fantastically well and everyone had a superb night that will long be remembered. 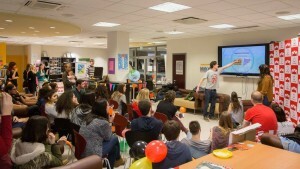 Both events were a tremendous success thanks to the engagement and energy of volunteers who contributed to the events. 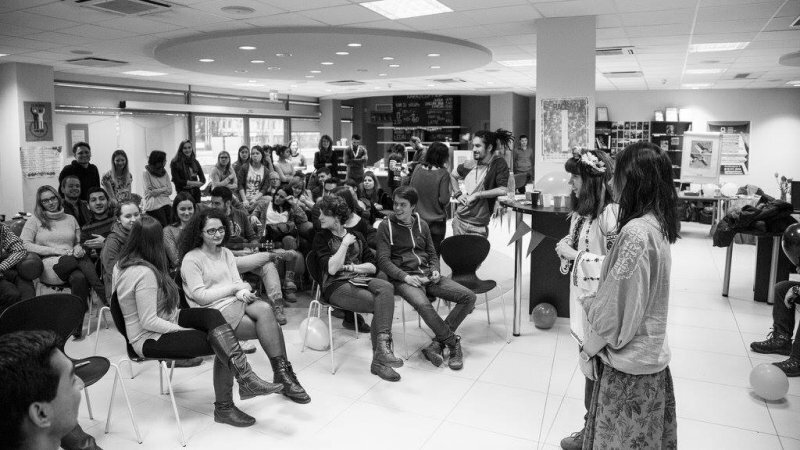 With that being said, we would like to say a massive thank you to all those who were involved, including volunteers, Vilnius Municipality Youth Information Centre, Paviljonas, embassies and visitors.